Boston University economist Larry Kotlikoff has spent every week, for over two years, answering questions about what is likely your largest financial asset — your Social Security benefits. His Social Security original 34 “secrets”, his additional secrets, his Social Security “mistakes” and his Social Security gotchas have prompted so many of you to write in that we feature “Ask Larry” every Monday. Find a complete list of his columns here. And keep sending us your Social Security questions. Many years ago, my close friend Michael Boskin, a Stanford economist, told me his dad had gone to several Social Security offices and received different benefit estimates. He went with the office that provided the highest payment. “You mean people can shop Social Security for the best deal?” I asked, incredulous. Truth be told, I didn’t believe him. Yes, Michael was the senior public finance economist at Stanford and knew a ton about Social Security. Yes, he served as chairman of the Council of Economic Advisors. Yes, he’s as honest and knowledgeable as it gets. But come on. How could different Social Security offices be dishing out different benefits? The rules were the rules. There was no room for discretion. Alas, the rules are the rules, but different Social Security offices, or at least staff within the offices, have different interpretations of the rules, only one of which is right. In recent weeks, I’ve had four different people tell me or colleagues at my software company that Social Security offices were denying them the right, at or after reaching full retirement age and before age 70, to file and suspend their retirement benefits and start them up again at age 70 at higher values. Here is an email exchange between Michael O’Connor, the chief software engineer for our software, and Jerry Lutz, who checks over my answers provided in this weekly column. Jerry is a retired Technical Expert who worked with the Social Security Administration for 36 years. We have a client that is being told by their SS office that they can’t voluntarily suspend their RIB at their FRA since they have already been receiving benefits from age 62. The SS office is quoting the last sentence of GN02409.100 in the Program Operating Manual System as the basis for their determination. This is in total disregard of GN 02409.110. A. 1. How should we advise them to convince their SS office that they can voluntarily suspend? Any primary retirement insurance benefit (RIB) applicant or beneficiary, whether reduced or unreduced, who has reached full retirement age (FRA) may voluntarily ask that we suspend his or her benefits to earn voluntary delayed retirement credits (VOLDRC). This request may be either written or oral, and we do not need a signature. This could not be any clearer. Furthermore, Jerry, when he worked for Social Security, helped people suspend their benefits after 2000 when it became law. Other Social Security staff around the country who actually understand the regs are routinely getting this right. Example 1 in GN02409.110.B.1 is virtually impossible to misconstrue. I guess I would try pointing that out to them first. If that doesn’t resolve the problem, she should submit a written request for voluntary suspension, specifying which month she wants the suspension to begin. Form SSA-795 would be the preferred SSA form for that purpose. A written request isn’t normally required, but that way she’d have a paper trail. Additionally, she can ask to speak to a technical expert or supervisor, and if that doesn’t work, she can contact the office of her congressional representative or U.S. senators. Example 1 – Beneficiary is currently receiving benefits and he or she is FRA or over: A RIB beneficiary began receiving benefits at attainment of FRA in 11/2010. On April 5, 2011, the beneficiary requests that we voluntarily suspend her benefits as of 11/2010. She states that she will pay back all benefits. This beneficiary cannot suspend benefits retroactively since she already received benefits. The earliest we can place her in voluntary suspension is 05/2011, which is the scheduled payment in June 2011. Voluntary suspension of current or retroactively due benefits is still possible only for a new RIB applicant who elects voluntary suspension before we make a determination that he or she is entitled to benefits and before payment is made. A new RIB applicant who is six months or more past full retirement age can elect up to six months of retroactive entitlement. If their benefits have not yet been determined to be payable (for example due to a delay in processing or due to the need for more documentation) and, therefore, have yet not been paid, they may elect to voluntarily suspend benefits retroactively to their initial month of entitlement. An example here is someone who is now 66 1/2 who files and suspends. She can suspend her benefits retroactively to age 66. The advantage of having the suspend apply retroactively is that suspended benefits can, upon request, be paid back in a single lump-sum check if the retiree needs cash for an emergency. Of course, in undoing the suspension, the worker loses her Delayed Retirement Credits going forward. The bottom line: Michael Boskin was right. You can and should shop different Social Security offices and staff manning the phones for the best deal. The best deal is the one that lets you maximize your lifetime benefits based on the system’s actual rules, not based on the rules that untrained and often overwhelmed Social Security staff invent. Anonymous – Okmulgee, Okla.: I just turned 60 years old this month. I called the Social Security office to set up my survivors benefits. I was told to do this by a SS agent when my husband passed away. I was told by the agent that I was not eligible for the widow’s benefits because I make too much money (in excess of $15,000). I want to know if this is true. Larry Kotlikoff: You are eligible to collect your widow’s benefit. But Social Security will reduce your widow’s benefit by 50 cents for every dollar you earn above $15,720. This threshold is adjusted each year to keep up with growth in the economy’s average wages. If, for example, you earn $45,720 this year, your benefit would be reduced by one half of $30,000, or by $15,000. If your annual benefit is less than $15,000, the earnings test would wipe out your widow benefit entirely. One redeeming factor is that at full retirement age, benefits that you lose to the earnings test are permanently increased to compensate for this implicit tax. But it’s only the benefit that’s lost that gets increased. In your case, your widow’s benefit would be lost in full or in part. So this increase at full retirement age, called the Adjustment of the Reduction Factor, would kick your widow’s benefit back up. However, once you start taking your retirement benefit, you’ll flip onto the larger of your retirement benefit and your widow benefit. If, say, at 70 you take your retirement benefit and it does exceed your widow benefit, after it was adjusted upwards, you’ll just get your retirement benefit from that point onward. That is, the Adjustment of the Reduction Factor would only help you for the few years between your full retirement age and age 70. Jamie – Anchorage, Alaska: I am 62 and my husband is 68. He began drawing full Social Security under his own benefits this year. Can I draw a spousal benefit now until I am 66 and then file for my full benefits? I have 27 years of substantial Social Security earnings (3 years shy of 30) but I also first became employed by the federal government on September 1987. Will the Windfall Elimination Provision (WEP) or the Government Pension Offset provisions (GPO) still affect my Social Security since I was first employed as a federal worker after Dec. 31, 1983? Larry Kotlikoff: No, if you file for your spousal benefit before full retirement age, you’ll be deemed to be filing for your retirement benefit as well. Social Security will then give you what is very close to the larger of the two benefits. Hence, one of the two benefits will wipe out the other. There is a good chance that your retirement benefit will exceed your spousal benefit, meaning doing what you have in mind will produce a double whammy. First, you will wipe out your spousal benefit. Second, you will be forced to take a reduced retirement benefit. Now to your WEP and GPO questions: You won’t be WEP’d because you were hired by the federal government after Dec. 31, 1983. And if you worked and paid Social Security taxes in the last 60 months that you worked with the federal government, you won’t be GPO’d. Anonymous – Memphis, Tenn.: I get disability of $1,603 monthly. My ex just retired and is remarried. We were married for 21 years. He is 65 and I’m 63. Do I qualify for any of his SS? He retired as a major on the police force after 34 years. I’m sure that he made well over six figures at retirement two years ago. Larry Kotlikoff: You can file for a spousal benefit now or at full retirement age. It will be an excess spousal benefit calculated as half of his full retirement benefit less 100 percent of your full retirement benefit. If this excess divorcee spousal benefit is positive and you take it now, it will be reduced because you are taking it before full retirement age. If it’s negative, it will be set to zero. That, unfortunately, is your case. Your disability benefit of $1,603 is well over half of the maximum current full retirement benefit. You have the option, once you reach full retirement age, of suspending your retirement benefit (your disability benefit becomes your retirement benefit at full retirement age) and starting it up again at 70 when it will be 32 percent higher after inflation. If you do suspend, during the time between full retirement age and 70 you’ll continue to receive your excess divorcee spousal benefit (at the reduced level if you take it early). Unfortunately, as I wrote in this column, right before Christmas the disabled were denied the option to collect a full spousal benefit between full retirement age and 70. This is a clear act of discrimination, because the disabled are being denied something that one spouse in a married couple can do and that both exes in a marriage that lasted 10 or more years can do. This discrimination victimized you and others like you. Your members of Congress might want to read my column on this. Also, please be aware that if your ex dies before you, you should file for a divorcee widow’s benefit. If it’s larger than you own disability benefit (which is also your full retirement benefit), you’ll start to receive it rather than your retirement benefit, i.e., you’ll get the larger of the two benefits. Fred – Los Angeles: What form do I use for a “restricted application,” the term used in your book for an application for spousal benefits? I don’t want to apply for my retirement benefits yet. I found a Form SSA-2-BK online. Should I use that? My spouse is 72 and has been taking retirement benefits for several years. I am 66 and have never filed with SSA. The problem is, both the forms SSA-1-BK and SSA-2-BK state explicitly in bold letters at the top: “I apply for all insurance benefits for which I am eligible …”. But I don’t want my retirement benefits yet, even though I am eligible. I only want spousal benefits until I turn 70. Anonymous – Fort Myers, Fla.: I bought your book, read it and still am confused about divorced spousal benefits. I am 62 in April 2015 and will stop working end of April 2015 (because my significant other is much older and we made decision to be together and enjoy life a bit). I meet the divorce spousal criteria. I can financially make it to 66 (not 70) without filing. Question: Should I/can I apply for spousal benefits at 62 and mine at 66? Is there a better approach? A bit of background: An appointment with SS suggested that to apply for spousal at 62 I had to apply for mine first. The person wasn’t helpful and I believe I got myself into deeming because I was told that my SS was high enough that I couldn’t benefit from spousal. I worked since 20, probably averaging $45/yr. Frustrated because I applied. I did learn from your book about withdrawal. Wonderful book and mine is full of yellow Post-it notes. 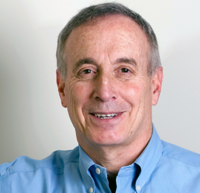 Larry Kotlikoff: Please reread the discussion of deeming in “Get What’s Yours: The Secrets to Maxing Out Your Social Security.” If you file for your spousal benefit at 62, you’ll be deemed to be filing for your retirement benefit as well. They will give you what is close to the larger of the two benefits. Chances are this will be your retirement benefit, so you’ll end up getting a reduced retirement benefit forever. Yes, you’ll be able to suspend it at full retirement age and start it up at 70 at a 32 percent higher level (after inflation). But the 32 percent bump up due to the accrual of Delayed Retirement Credits will be applied to your reduced retirement benefit, not your full retirement benefit. You can certainly withdraw your application for retirement and spousal benefits. You’ll need to repay whatever you receive. But since you just filed, this will likely only be one month’s check. Very, very happy you liked the book. Deborah – Capitola, Calif.: I am 61 years old. I am divorced and now single. I was married for 11 1/2 years to someone who is now 64 and has remarried. I believe our annual earnings are about the same (~$60K/year), but I’m not certain. I’m not sure how I can find out his salary or when he starts collecting his Social Security. I am planning to retire soon and will receive a pension of around $2,300/month. I will supplement this with some contract work and by withdrawals from my 403.b. Would it be best for me to file for spousal benefits only at my FRA of 66 and then wait until 70 to file for my own benefits? Or do I start-stop-start along with applying for spousal benefits at FRA? At 70, once I am collecting my own benefits, do my spousal benefits go away? Or are they adjusted based on my own benefit amount? Thanks for the invaluable service you are providing! Larry Kotlikoff: It would, indeed, be best for you to file just for your divorcee spousal benefit at FRA, let your own retirement benefit keep growing, and take it at 70. Once you start taking your own retirement benefit, you’ll just receive the larger of the two benefits. From what you wrote, this will surely be your retirement benefit. So you spousal benefits will, indeed, go away. Anonymous – Sea Ranch, Calif.: I am a single woman (widow) of 76. I waited to apply for Social Security benefits until I was almost 66. I am not working presently. I worked for at least 15 years in the U.S., paying into Social Security. I worked for the World Health Organization for 10 years, paying into retirement fund, living overseas in developing countries and not paying into Social Security. I do not understand the reasoning behind why the Social Security benefits I accrued while working in the U.S. are offset by my U.N. pension income. I feel I earned the full Social Security benefits regardless of what else I did. It seems that this law imposes unequal expectations on earners like myself. My Social Security benefits are reduced by two-thirds of what I would otherwise receive. (I receive a bit over $600/month from Social Security and my full benefits would be over $1,800/month). I know many people receiving their retirement and also getting their full Social Security benefit. For instance, I know someone who worked for a national laboratory and retirement benefits were more than his month’s salary. And he also got full Social Security benefits. Why were they not offset, like mine? Thank you for doing this. It is a great service. Larry Kotlikoff: Social Security’s benefit formula is progressive, so it disproportionately rewards those who have low average covered earnings. There are two ways you can have low average covered earnings. You can earn very little for many years or you can earn a bunch but for very few years. 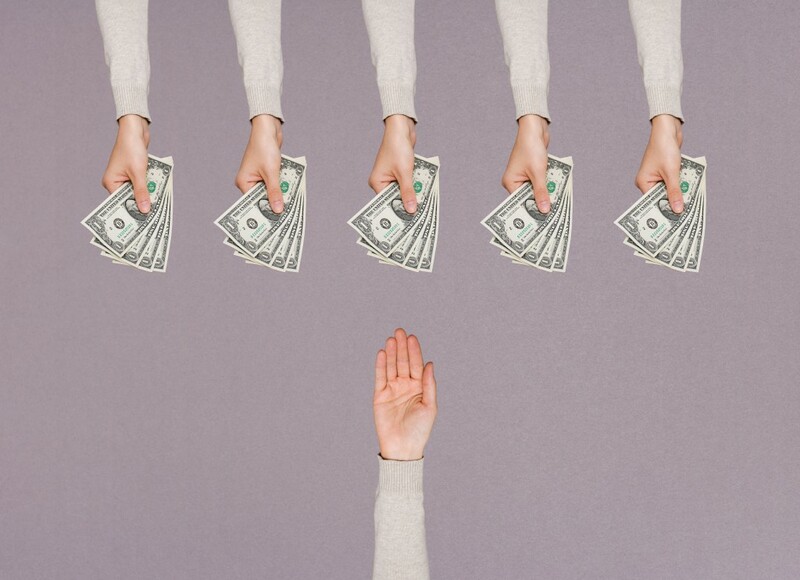 Someone who earns a bunch for very few years and works in non-covered employment is viewed as trying to double dip on the system — to, effectively, pretend to the system to be poor and then get a disproportionately high benefit. Note that if you don’t work at all in the years you aren’t in Social Security-covered employment, you get a higher benefit than if you do work. So Social Security is, in effect, taxing those who work as schoolteachers, firemen, policemen, college professors, etc., in state and local government jobs that aren’t covered by Social Security. Let me go on the record. Social Security, as designed, is terribly unfair in more ways than I can count. It needs to be frozen in place and pay off what it owes. But a new system (see the Purple Social Security Plan as an example) needs to be instituted to replace it. Social Security’s most ardent supporters do not, I suspect, have a real idea of the system’s complexity, unfairness, implicit sexism, implicit racism and means for randomly redistributing across the population based on who knows what about the system’s rules. This is part of my strong motivation for writing (with Paul Solman and Phil Moeller) “Get What’s Yours: The Secrets to Maxing Out Your Social Security.” I hoped that members of Congress and the Administration would read it and start to grasp precisely what they and their predecessors have created in the course of legitimately trying to make sure people save for retirement and insure against death and disability. Now, don’t get me wrong. As my proposal makes clear, I’m an ardent supporter of Social Security’s goals. But I’m an ardent opponent to the manner in which it’s tried to achieve its goals. In fact, I’ve said on the radio and will repeat here, that the system, as currently constituted, is a disgrace to the American people.